Since its release the iPad has garnered arguments regarding whether it is primarily a device for consumption or creation. I have always believed that it is a device capable of creation. One simply needs to consider apps such as Avid Studio, DemiBooks Composer, Pages, Keynote, Minecraft Pocket Edition, Art Rage, SketchBook Pro, Comic Life and many others. These and many other apps all allow the user to tap into their talents and produce output of which they can be proud. Of course the iPad is also a worthy consumption device. Think of FlipBoard, Reeder, Safari, Guardian Eyewitness, The Elements, Solar Walk, and any other app that allows anyone to easily explore information, imagery and data on the web or embedded within the app. Yet, the iPad has one challenging aspect at this time… particularly for a teacher working with a class of students, each with their own iPad. Consider a teacher that simply wants to facilitate teaching and learning and does not wish to devote hours to dealing with an interface that can at times be clunky, inconsistent and simply involves too many steps to get it to work. Which interface!? The conventional task of collecting, assessing and returning student works that were created on an iPad. Imagine that the students have created an elegant report in Pages, a short movie in Avid Studio or a sketch in Art Rage. As a teacher you would like to assess the students’ output. Ideally the teacher would like to receive all of the students’ works in a setting that allows the teacher to verify all of the submissions in a single directory or folder and then to assess each item. In addition to that you require a facility that allows the students to submit their works in such a manner that one student cannot access the work of another. Some teachers are concerned that students may simply copy or mimic the work of others. Fair point. Why? The iPad’s proprietary iOS operating system does not possess a file system like the directory and file structure of Windows or the folder and file system found in the Finder of the Mac OS. So, what are some of the stumbling blocks? One cannot upload a file to a LMS or CMS via a conventional browser upload. You cannot drag & drop files so as to save them to other computers, external hard drives or portable flash drives. You are not able to export files via a simple drag & drop or automatically sync to networked servers and non-Apple cloud based file storage systems such as DropBox. This is due to the fact that each app on the iPad manages its own files independently of all the other apps. Files are saved with the app. They are not saved to a system wide directory or folder structure. Transferring files is challenging. Educators and other iPad users have written about this dilemma. Check out these posts and consider the steps or variety of apps that some of the authors have set out in order to establish a workflow. 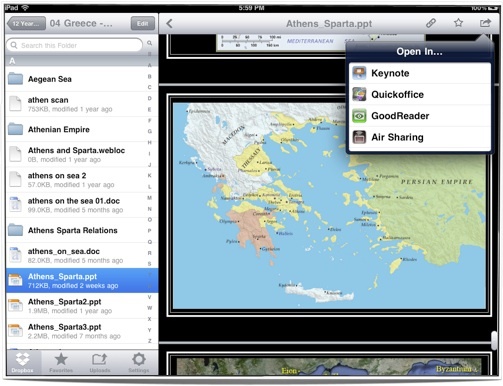 The Mac Observer: File Sharing with an iPad: Ugh! Developing Education: Dropbox & DropDav as an iPad Filesystem…Finally! This is madness. Some of the processes described in these posts are not workflows. They are obstacle courses. There is not an elegant solution to this dilemma. The iPad does not afford a consistent approach for the transfer of files from one device to any other device whether it be an iPad, PC, Mac or server. Let’s consider some methods for transferring files from an iPad to another device. This list is not exclusive. These solutions are designed for a single user of course. The iPad does not allow for multiple users and multiple accounts. You can transfer files via the File Sharing window within the Apps tab of this desktop application. One device at a time. That is impractical with a class of 30 or more students. The File sharing is not consistent. Some apps only allow single files, others allow you to drag folders. Some apps only allow you to transfer files created on the iPad. This app allows for file transfer and sharing across a wireless network. One device at a time. The teacher would need to connect to each iPad wirelessly. Locate the file and copy it to their own device. There are many other apps similar to this. A good app no doubt. One of my favourites. Yet GoodReader has a strangely complex user interface. You can link GoodReader to a Drop Box account that is shared by the students and the teacher. Students can download and upload files to DropBox via GoodReader. That works well for PDFs that are annotated within Good Reader itself or images that have been saved to the Photos app and are then accessible within Good Reader. Limited possibilities. Complex to set up. Read this post to review the steps outlined by this educator. One possibility is DropBox however it has limitations. After a DropBox account has been established folders can be shared with others. One can access the same files on an iPad via the DropBox app on the iPad. The user can also access those files on the iPad using applications such as QuickOffice, GoodReader, MindNode, Photogene, WhiteBoard HD and OneEdit. A number of these apps also allow you to export to DropBox as well. GoodReader allows you to establish a two-way sync with DropBox. The problem is that although students can exchange files wirelessly with their teacher all the students have access to the works of the other students. Many apps allow you to email files to another person. Have you ever received 30 assignments from a class of students? How about 180 assignments from an entire cohort? Ridiculous. Sure, you could set up a smart mailbox that directs all of the incoming student emails to a particular folder within an email client. You could even create a shortcut to the attachments folder on your PC or Mac. This method requires discipline on the part of the students. Each submitted file needs to be logically titled so the teacher can easily identify the identity of the owner. In addition to this there are issues regarding file size limitations and the allowed server space for each email account. It is not an elegant solution. Some apps, such as GoodReader and MindNode, allow users to transfer files wirelessly. The app allows the user to set up the iPad as a wireless server. The IP address can be shared with others and users can drag and drop files between a computer and that app on the iPad. It is not a simple or elegant solution. There are a number of third party desktop applications that allow you to browse the apps and files on an iPad, iPhone or iPod. Each of these applications perform a similar function. They allow you to explore the apps and their contents. Your iPad can also perform like a thumb or flash drive. In addition to accessing the contents of apps on the iPad you can also access music files, podcasts, video, playlists, contacts, notes and images. You can transfer the contents from the iPad to a computer and vice versa via a simple drag and drop. You can drag and drop folders as well. These third party desktop applications are not perfect. Not their fault however. Dedicated Apple apps such as Pages and Keynote do not play well with these desktop solutions. They are useful solutions for an individual that wishes to gain greater access to their iPad yet the same issue applies… one device at a time. Not an entire class. 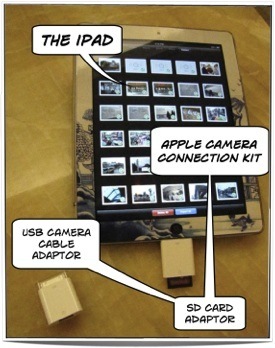 You are required to ensure that the iPad is connected to the computer using the USB Dock Connector with all but the final two of those eight methods. Each method is different. Each require mastery of a varying set of skills. Most of them are designed for a single user simply transferring files. A teacher confident with information technology would probably find it an interesting challenge however a teacher who has been handed an iPad and told to teach will be frustrated and I do not blame them. You can explore these possibilities in detail in this document. In essence there is not a simple and seamless solution that teachers can tap into to easily collect and assess students works created on an iPad. A school could set up a dedicated WebDAV server such as that established by Redlands College in Queensland. Shared folders on a WebDAV server may enable students to easily share files with their teachers. Not all apps on the iPad, however, allow access to a WebDAV server. The shared folder would need to ensure that is permissions settings do not allow students to access the works of other students. Private companies are providing possible solutions. eBackpack iPad Module is one example. It is not free of course. One can only hope that the operating system on the iPad evolves and allows this neglected aspect of its design to simply improve. Sure, one can conduct research and be quite creative on an iPad. Yet, if you have a class of students all creating projects and media I would like to take this opportunity to wish you good luck when it is time to collect, assess and return the projects. Please share your solutions and workflows via a comment. In the meantime you can read this iPad File Sharing document which I recently put together. It outlines in more detail some of the ideas referred to above. You think you’ve got problems. Try it when the class has a communal class set of iPads and they don’t retain or allow *any* personal settings such as email because they are shared around the other classes! We set up a WebDav and the kids had to enter the server address everytime I wanted something submitted. Then they had to delete the details so the kids in the next class couldn’t access their files on the WebDav settings. Sheesh! I realize it’s a little idealistic but perhaps we are asking the wrong question. If we want our students to complete authentic activities for real audiences then it’s doubtful the appropriate publishing forum is a private folder that only the teacher can access. When we do need to transfer files from our iPads to the school network we use send to Dropbox to email the files to a shared folder on one of the network drives. The contents of the emails are filed according to the subject of the email. We use either the students’ usernames or the activity name depending on how we want the work filed. Almost all of the creative apps have the option to email. Thanks for writing this informative article. I appreciate the many resources you have linked to. I agree that there is not one simple way to share iPad creations. I wrote my own blog post about one way to do it (http://edtechbaier.blogspot.com/2012/02/workflow-how-do-students-submit-ipad.html). I think your quote, “Some of the processes described in these posts are not workflows. They are obstacle courses” is very appropriate. My solution should probably called an obstacle course as well. However, I wanted to point out one structural difference that I have been trying to focus on in solving this problem. Rather than have students send their files directly to me, I want them to post it (put it in “the cloud”) somewhere and send me a link to it. Myself and some colleagues experienced students having access to a shared Dropbox folder and messing up each others’ work. If students have their own Dropbox and share a link with me, then it can still be private and protected by the student. Here’s another example: A lot of my colleagues have been using iMovie on the iPad. It is extremely difficult to get an iMovie off of an iPad in a simple way that can be submitted to a teacher. Our approach changed and we had students upload their iMovies to a shared class youtube channel. This caused problems because the teacher would forget to change the youtube password and a student who later go in and delete everyone’s’ work. Our solution was to have each student create their own Youtube channel, upload videos to that, and share the link to the video. We have student submit these links using Google Forms that we create. This makes it easy to organize the links by class period, assignment, etc. Thanks for letting me add my two cents and thanks again for sharing these resources. We have also had trouble with iMovie. I think your solution with individual YouTube channels and then links in a shared Google Doc is great. The publishing process is genuine but the teacher still ends up with an easily accessible collated document. a possible solution to all of this is Do.com ! If integrated to studentforce then files, tasks, other faculty > student and student > faculty submissions can be accomplished (including document and graphics transfers) and then associated to classes, assignments, etc. Fantastic article. We are suffering the same fate but with one more issue, just to make it more fun. We exist behind an authenticated and filtered firewall. The powers that be have filtered anything that is cloud based. So dropbox, sugarsync and even google docs are unavailable to our students..
Fortunately we can use the official Moodle app that allows students to upload images and videos to our Moodle. better than nothing I spose. I have been teaching digital design (photography and Graphics for about 10 years now, each year it changes slightly and it seems we are always pushing the kids comfort level. I may get to a point where I host a blog, but for now I prefer to free solutions that exist. Last year each student maintained a blogger page those were okay, this generation was only 50% ready to undertake maintaining a blog-like portfolio, they are still new to the digital creation realm. Haven’t tried blogger with an iPad… This year, and it has worked really well, we are using Tumblr, again not completely tested, but it seems like it might work. I am entertaining thoughts of hosting the entire class on an iPad. We are posting products mostly our designs and students are reflecting on their work. It is hard to begin a network of critiques, but that is next. Another neat solution for saving files, as well as placing them on the iPad, is SugarSync. It has a great web-based interface and a teacher can easily setup a place for students to drop content there. Using multiple SugarSync accounts–one per class period–would make it possible to have a share area for each group of students. John, thanks so much for sharing these points! I had been wondering what kind of workshop to do at an upcoming iPad session, and this would be a fun topic to explore! Look into using SendToDropBox along with a DropBox account. It allocates an email address to a DropBox allowing users to email to a DropBox account – works pretty seamlessly. Students can then submit to your DropBox account without ever getting access to it. The Edmodo iPad app was just updated to allow uploading of images and videos from an iPad’s Photo Library to a student’s Edmodo Library. Now if only Edmodo could accept other file types from iPad, it would be one of the easiest ways for students to get work to the teacher and classmates. Thanks so much for the information shared in this post. These “workflow”issues with any new technology need to be sorted…they can make or break a teacher’s willingness to have a go. Can I change the ideas around and suggest that students take responsibility for the storage and distribution of their files? If each student has their own online space..whether it be a blog, wiki, digital portfolio or evernote account etc…they can publish/store/file all their work in their “space” which can be fed back to the teachers RSS reader for viewing/assessment etc. Information can be kept private until assessed if there is a concern re authentication. Being a secondary maths/sci teacher (disclosure: not classroom teaching at the moment) I’ll choose a yr 9 student to illustrate. She has her iPad and is taking a video of the chemistry experiment (app) she and her partner are doing. Notes are taken by hand in her exercise book which she scans (app) and sends to her Evernote account (app) with a few tags for easy retrieval later. When time permits she puts her report together (app), uploads it to her “online space” and I ( teacher) can have a look in my RSS reader (app). I can leave feedback and download a copy for my own files if needed. I’ve used the generic “app” here because we all have our own preferances, but Evernote is a must have as a student “locker” to throw everything in. Most of the apps I’ve been playing with save to Evernote and Dropbox. 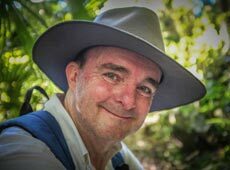 Thanks for reading my 2 cents worth…I’m keen to know what others think. We have run into our own similar problems over the last year and a half using iPads in the elementary classroom. I think the main issue that Apple has changed in the game and that we are having difficult accepting is that the end user should be in control and not the system as a whole. As educators, we are used to a level of control with everything. The world has changed so quickly over the past few years and the control now lies in the end user’s hands. Think about it, the flipped classroom is the control of the end user. The Bring Your Own Device movement is in the hands of the end user. Apple made the iOS devices personal devices and teaching is becoming more and more personal as well. We need to focus less on the issues of how we are going to gather the information and give the students creative freedom to figure out how they are going to get it to us. We want them to learn self sufficiency, but have such a difficult time giving them the opportunity to practice what they learn. Where there’s a will there’s a way. I am not preaching, because I too am guilty of these same things. However, I did see a pattern as I read this article and the feedback and wanted to make sure I pointed it out. I have plenty of experience over the last 18 months learning things the hard way, since few examples existed with iPads. I hope that we can continue to learn from each other. The end results will benefit every one of us. It’s all about the kids after all. We as teachers are using the iPad in ways it was not intended – it is a personal device and does well for what it is designed for – a personal device – not the education market – but is is great that learners have taken to it. I agree with Lee Anne – maybe we need change in what we do – not wait for the device to change. Maybe the iPad does not suit the traditional ‘hand in assignment for marking’ model. It is more suited to a social model – and easy to get creative output onto the web (e.g. youtube) and maybe ‘marking’ or ‘assessing’ could be different? We have found emailing to a blog post useful for some output from the iPad. What a great post! I think that much of the problem discussed regarding the iPad can be avoided if we start thinking about the internet more like our students. I am a high school teacher, so my students come to me with pretty heavy internet/technology exposure and this year I have really put a heavier emphasis on the exchange of knowledge. Students demonstrating their understanding not just to me but to our entire community of learners. This involves a lot of what has already been mentioned things like edmodo, Twitter, and DropItToMe. 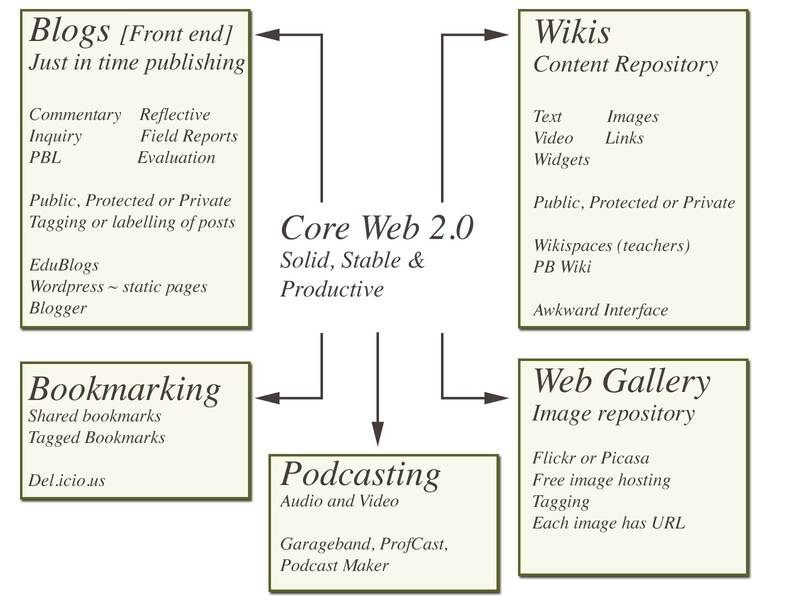 As teachers wanting and looking for more ways to incorporate new technology and Web 2.0 tools we need to really reevaluate how we have done things in the past. I will say this year has been one of the most exciting in my teaching career and I credit a lot of that to my student’s excitement comfort using the tools available to them. Like I said, great post with some great suggestions for tools and apps that could be helpful! 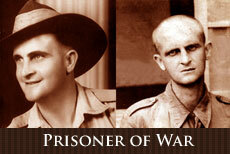 February 2012 — Did you read this one? Thousands of Chinese child slave labor workers have literally been worked to death to meet the demands for this product in the West and you think *this* is the dark side of the iPad? This post made me sick. I’m particularly appalled that no one commenting on this has given any thought to the conditions in which this product is produced. Do you not care about the world we inhabit? There are more important things to being a human being than owning this stupid little piece of gadgetry. Through the use of My Big Campus and a WebDAV we have solved most if not all of the issues we were facing with the “Dark Side” of the iPad. Creating assignments and in MBC and then having students submit them to that same assignment in MBC creates a work flow is quite simple. We have found that showing the students how to do it once at the start of the year in Computer class is sufficient for training them on the workflow. We are very pleased!! Interested in your MY BIG CAMPUS implementation, I’m assuming thats part of teh LIGHTSPEED gateway authentication device? How do you r users authenticate, to gain access to the net? is it via a dedicated browser or the standard safari app? We have also started using Studywiz at our College. 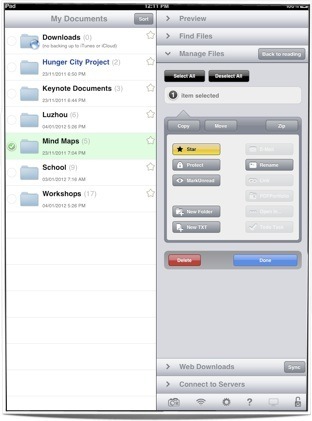 It provides us a way for students to upload their work straight from their iPad into our Learning Management System. Yes. We also use WebDAV and Google Docs and so far this year, transferring documents hasn’t been too much of an issue. Other options have included email, the Apple Camera Connection kit, Dropbox and Wireless sync with the students computer using iTunes. It’s awesome to see how educators are having their students create work on the iPad! For teachers who are looking for a super easy to use service to facilitate assignment or project file workflow between themselves and students, we’ve created a service called Showbie. With Showbie, teachers setup a class and assignments. They invite students to the class by giving the students a class code that links the student with all the assignments in the class once the student joins Showbie. This gives students each and assignment drop folder where they can upload work from their laptop via our website, or through our provided WebDAV server. If you’re a teacher or student using an iPad app like Pages or Keynote, you can easily save work into your Showbie assignment folder by putting in the Showbie server URL (https://w.showbie.com) and then entering your Showbie login and password. Going forward, you won’t need to put in these credentials unless you log out of the WebDAV connection. If you have any questions or want to check us out, head over to http://www.showbie.com! SHOWBIE from my experience is the most effective app to use for a workflow in class. I can access my account with my iPad, iPhone, iMac, PC and Andriod. It’s versatility gives me the opportunity to keep in order all the lessons for the classes I teach. What once took 1 to 2 hours photocopying, giving handouts to student, collect their written responses, mark their work and give them feed back is done in a fraction of the time. Used in conjunction with the Explain Everything app and the students are able to hand in not just written responses but extend their work as engaging multimedia presentations to me. I have used this form of workflow since 2013 with enthusiasm for the learning and teaching process. As long as I have Internet access I can log into SHOWBIE. Hi, I teach in a school with over 1000 iPads. I also provide support to teachers and other schools. – AirStash A02 wireless USB from Meyers or online. – Free Pocket DAV service to save from Pages to Google Drive. – Dlink DIR 505 to save images, etc to external hard drive. – WebDAV server at school. What about letting every student make there own Google account (or use Google Apps as school) and let each of them share a folder from Google Drive with you as a teacher? Wouldn’t that solve the problem, at least partly? I really feel for you. As a student I have to transfer plenty of files every day, and this “dark side” was always driving me crazy. Recently I have come across an application that changes the way you use your iPad. I hope this facilitates your workflow somehow. I wish you good luck with your creative projects! Keep it up! Great post, and some interesting replies. I am new to teaching (in the UK) and the problem you describe is hitting me hard in the face. Individual bits of the technology for given tasks are amazing, but I just can’t piece it together to give an efficient system for setting, receiving, reviewing and giving feedback on work, whilst also respecting the privacy of individual pupils. It’s a huge issue, and surely one with a $$$-generating solution (the market is surely massive). It’s been a while since the original post. Has anything moved on? I suspect Apple have to move on this one? I’d love to hear a coherent solution from someone. In a nutshell sharing is still not that intuitive however there is one app that gives users excellent access to cloud services and also sharing on the same network via a feature that they call Wi-Fi Drive. It works well. Stuart, we are just looking at Showbie http://www.showbie.com as a system for presenting assignments, students can download to their iPad and “Open In” an app, do the work then open back in Showbie, uploading to their folder. Teacher can mark it up (say in a PDF markup app like PDF Expert), then they save it back in the students folder. Showbie are working on incorporating their own markup capabilities within the app to take out one of those intermediate steps. We are still looking for a way to present a unit of work for students to be able to work through, a la Moodle, but not as clunky as that is on the iPad. The “problem” with Showbie is that it is a subscription service, which makes it difficult for some teachers to take up and trial. At our school, we use the File Browser app. It is a little like Goodreader, though simpler to use, with its file management system. It also connects to any form of remote server. So our students can use the OPEN IN ANOTHER APP feature (of pretty much every app that creates or stores content) to save their own work into File Browser, from where they can submit to folders on local servers, that teachers have set up. Edmodo works reasonably well, but if you don’t have great Internet speed (as we don’t), having a local server is the best option. A 150MB video file will transfer wirelessly in a minute or so, which is great. I do agree with the idea of using Cloud services – the iCloud Sharing link, which gives live access via a web browser on a PC or Mac, looks great! I just found this article, and wan to let you know that our FREE WebDAV client OverTheAir is the app which the Redlands College in your article is using.